According to the Australian Multi-Screen Report for the first quarter of the year, produced by Regional TAM, OzTAM and Nielsen, the time consumers spend viewing live TV has been falling gradually over the past five years, while playback through the TV set continues to rise. The report, however, makes clear broadcast TV is still the dominant viewing option for Australian consumers. In Q1, 88.4 per cent of all broadcast TV viewing took place on the TV set, and 91.6 per cent was watched live-to-air. Australians watch an average of 89 hours and 28 minutes of broadcast TV in total, including free-to-air and subscription channels and on an in-home TV set each month, a drop of 4 hours year-on-year. The report also found the average weekly reach for Australian broadcast television remains at 88−89 per cent of the population. What has risen in the past year is the number of people using their TV set for activities other than watching broadcast television. A key one is playing back TV content between 8 and 28 days from the original broadcast. As an example, the report pointed to the four-week period 22 February – 21 March, where 8-28 day playback viewing accounted for 1.66 per cent of all TV viewing time across the day. This was up from 1.06 per cent in the same four-week period last year. Viewing on broadcast content within seven days of original broadcast made up 8.4 per cent of total broadcast TV viewing per month, up 16 minutes year-on-year. The use of connected mobile devices to watch video has grown as well, but remains relatively small in comparison. In total, 11.6 per cent of viewing broadcast and non-broadcast video content happens on screens other than the TV. Not surprisingly, it was those under the age of 35 years that are driving this year and increasingly using smartphones and connected devices to watch video. When it comes to multi-screening, 75 per cent of online Australians aged 16 years and over have used an Internet-connected device while watching TV, up 1 per cent year-on-year. More than one-third of these consumers practice the habit daily, and 85 per cent multi-screen at least once per week. Seventy-six per cent of women multi-screened, compared with 73 per cent of men. In addition, 31 per cent of consumers over 16 years old say they ‘triple-screen’, up 5 per cent year-on-year. The most commonly used device at home is the laptop/notebook, followed by smartphones, desktop PCs and tablets. Ninety-two per cent of 16-17 year olds engaging in multi-screening when they watch TV; the highest percentage of any age group represented in the report. They also prefer smartphones first, followed by laptops and desktops. Top activities on the smartphone for this group are conducting a search, and accessing social media. Second-highest for multi-screening are 24-34 year-olds (90 per cent), with smartphones the most commonly used second screen. Just behind them are 18-24 year-olds (89 per cent), who say email and getting directions/maps are the top activities on their preferred second screen, the smartphone, while search is most popular on tablets and computers. The joint report also noted smartphone use most often occurs outside the home, and consumers are using smartphones to check social media more often than on other devices. Search, meanwhile, plays a more important role on tablets, along with updating or browsing social media and watching online video. 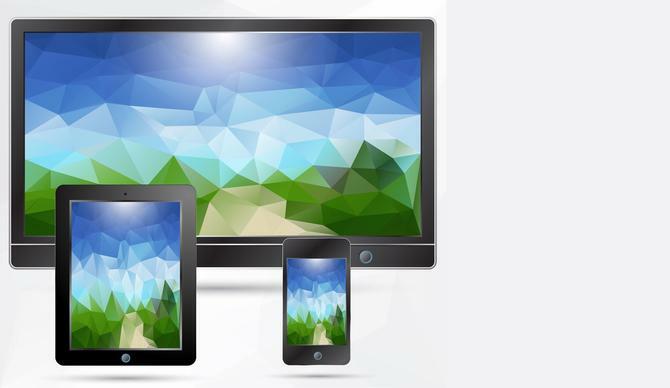 The Australian Multi-Screen Report is based on three separate research projects: OzTam and regional TAM’s TV ratings panels, Nielsen’s national NetView panel, Consumer and Media view database, and the Australian Connected Consumers report.